We must turn to London in the 1860’s. Mordecai Cooke was a leading member of the Society of Amateur Botanists, author of important books on mycology, and editor of a journal devoted to cryptogamic botany. He had a herbarium of 46,000 species and 25,000 plates of fungi, mostly coloured (later presented to Kew). 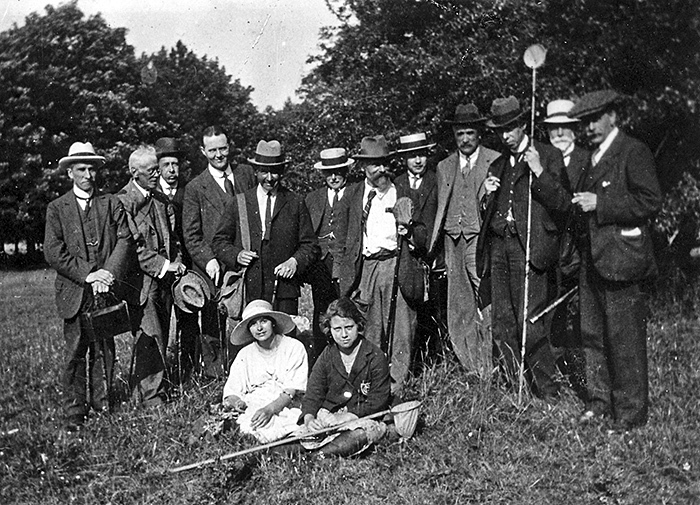 Cooke was President of the Society for Amateur Botanists when a proposal was first made to form an association of amateur microscopists. He was also editor of Science Gossip and in May 1865 that journal published a letter from W. Gibson (a member of the Society for Amateur Botanists) suggesting that “some association among the amateur microscopists of London is desirable”. At the time, M. C. Cooke, Thomas Ketteringham, and Witham Bywater, were meeting once a week at Bywater’s house for an evening with their microscopes, when they would examine microscopical objects and discuss specimens of special interest they had brought with them. At 10.00 pm they would put away their instruments and discuss Science Gossip, a journal edited by Cooke. The three friends agreed to support the proposal and at a meeting on June 14th 1865, agreed a provisional committee. This was followed by a meeting of some sixty persons on July 7th. 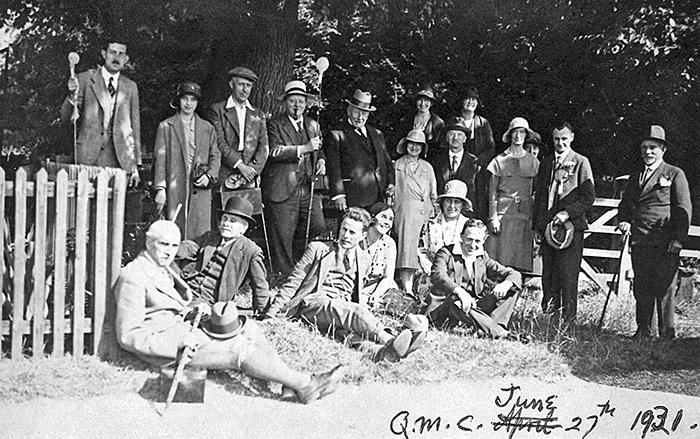 Cooke had drawn up a prospectus, later adopted, stating that the Club had been established to “give amateurs the opportunity of assisting each other, holding monthly meetings in a central locality, at an annual charge to cover incidental expenses”. 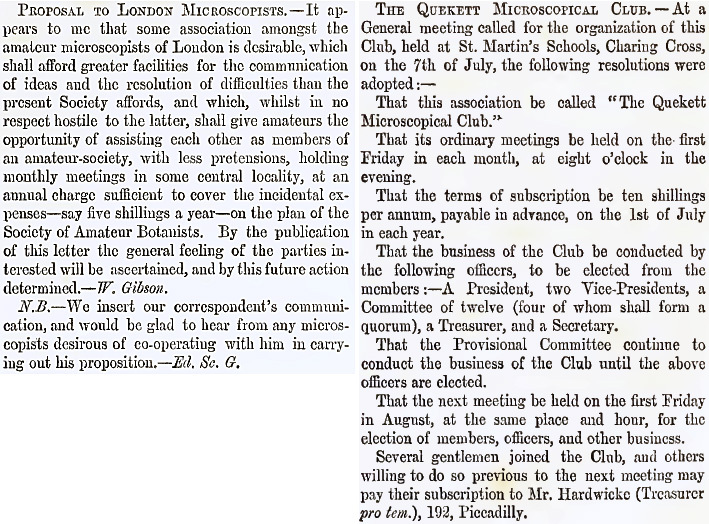 The title agreed for this new association was “The Quekett Microscopical Club”, club instead of society was chosen to reflect the aims of the association. 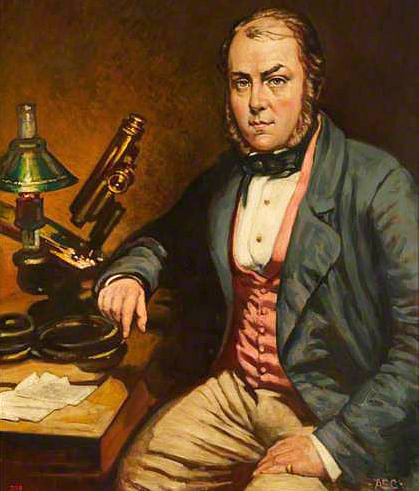 John Thomas Quekett (1815–1861) was the youngest of four brothers, each of whom had a liking for natural history pursuits, apart from their professional duties. 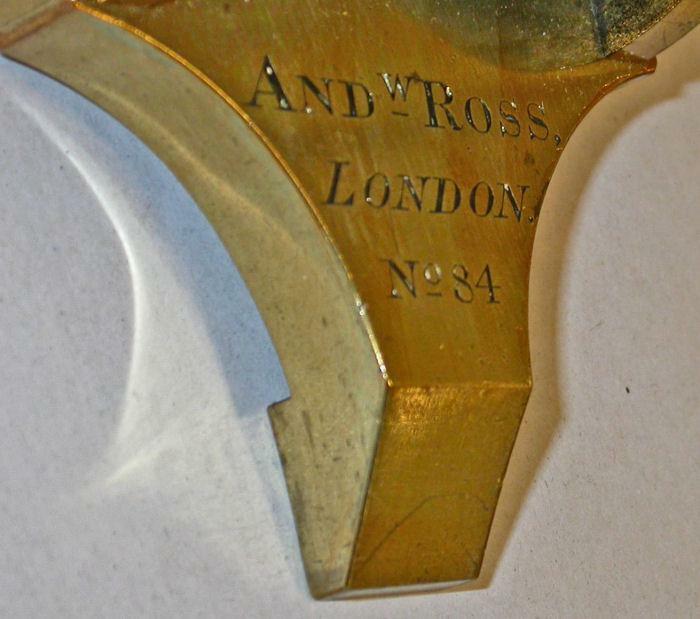 At an early age, John Thomas had a special interest in microscopy, not just for investigation but also in construction and use, and at the age of only sixteen he gave a course of lectures to the pupils of his school. He decided on a medical career, trained initially with a surgeon at Langport, and then came to London as apprentice to his brother Edwin, and was entered as a student at the London Hospital Medical College, and at Kings College. He qualified in 1840 and successfully competed for a three year Studentship in Human and Comparative Anatomy at the Royal College of Surgeons. During that time he made some 2,500 microscopical preparations, many of which were injections that he specialised in, and the collection remains with the College today. 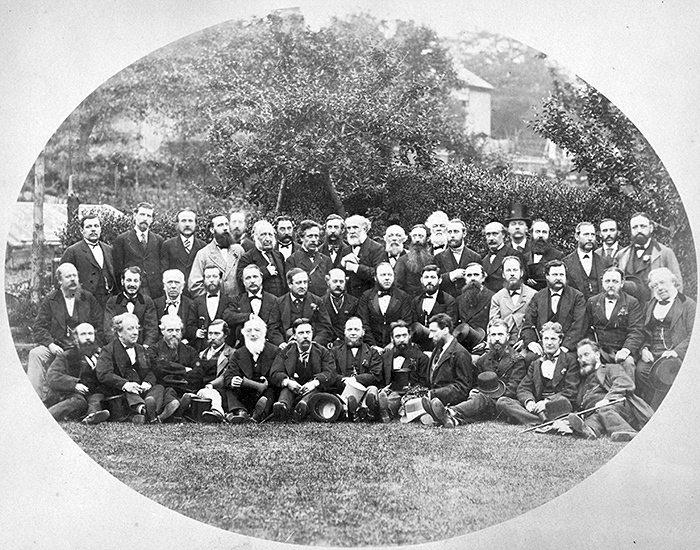 His diaries of the time refer to men he knew who were among the most prominent microscopists, such as Carpenter, West, Ross, Sowerby, and Smith of Smith and Beck. He wrote a Practical Treatise on the Use of the Microscope in 1848, with revised editions in 1852 and 1853. 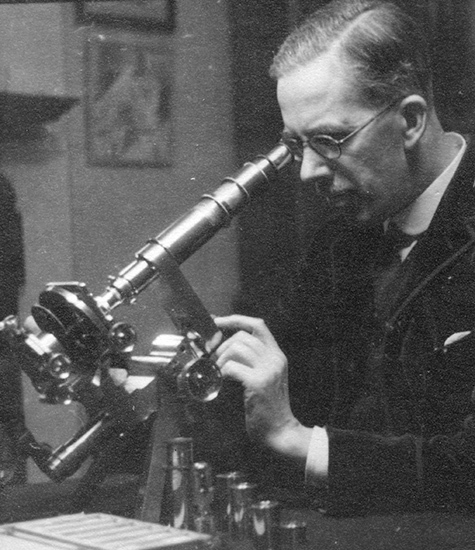 He was a popular lecturer and had two volumes published on Lectures on Histology, and he gave some instruction to Prince Albert on the use of his large silver microscope. Specimens reached him from all over the world and he was consulted on numerous matters. One of his investigations related to human hair and skin that could sometimes be found under the nails of church doors. He published a paper in 1849 on one example of a leathery material found under a metal plate on a church door at East Thurrock that was found to be the skin of a light haired man, seeming to confirm a local story of a Danish raider caught in the act and flayed alive, his skin nailed to the door under the plate! In 1857 he was elected a Fellow of the Linnean Society, and was made a Fellow of the Royal Society in 1860. However, his health was failing and he requested by letter that they should not proceed with the intent to elect him as president. The letter was unfortunately delayed and he later found he had been elected. He did give a presidential address that year but was a very sick person and died six months later at Pangbourne, in Berkshire. Farrants said of him, “He was endowed with a rare combination of qualities, which made him an accomplished microscopist, thoroughly familiar with the practical use of the instrument, dexterous and delicate in manipulation, singularly skilful in preparing objects for examination, diligent and patient in research, sagacious and cautious in his interpretations, but above all honest and candid in recording his observations”. When he died various schemes were floated to commemorate his name, the Microscopical Society purchased some microscopes and books from his collection, and another society purchased a microscope in his name. The suggestion to set up a permanent memorial in his name was not proceeded with and it remained for three men to associate his name with a newly-projected club four years later. 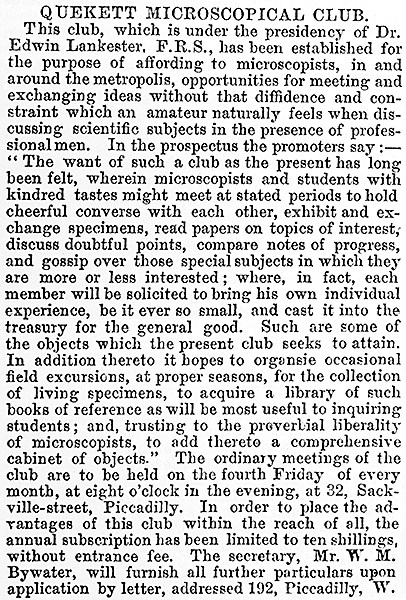 “The Quekett”, as it is commonly known today, remains dedicated to the interests of amateur microscopists, holding monthly meetings in London, in which ‘Gossip’ style meetings combined with short talks by a member are the mainstay. 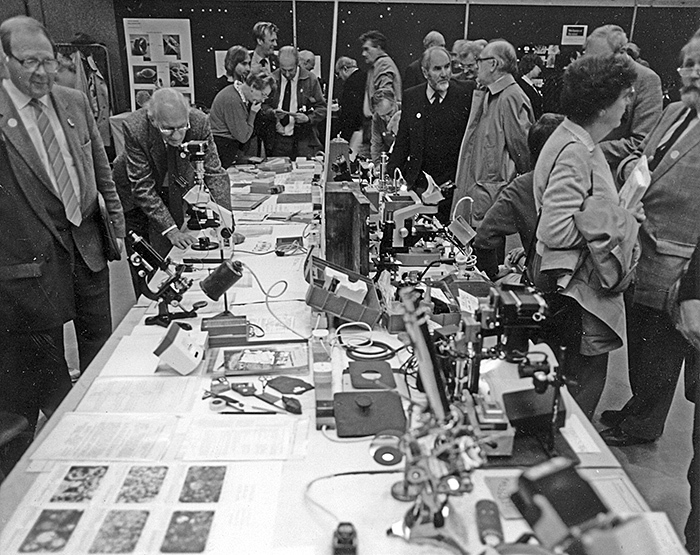 The Quekett Journal of Microscopy continues an unbroken tradition since 1868 through two world wars, and members are also served with issues of the Bulletin of the Quekett Microscopical Club, while the whole of the journals from 1868 to 2012 are available on a USB flash drive. The above is a condensed extract from “John Thomas Quekett” in the Journal of the Quekett Microscopical Club, Vol 30, part 3, pp. 55–59. 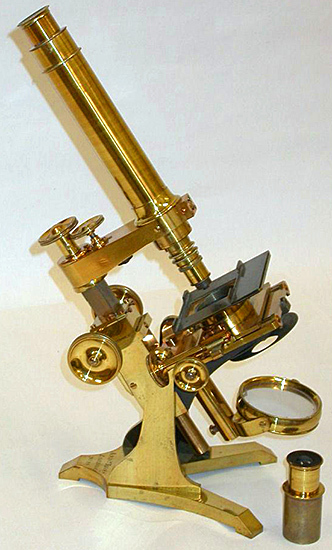 The two images shown below are of John Quekett’s microscope, which is in the possession of the Club.